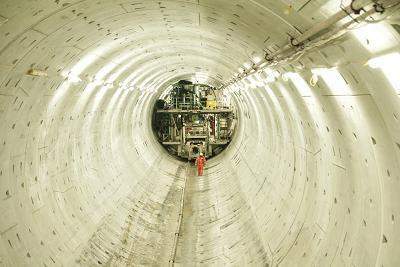 Thames Water has selected Bazalgette Tunnel as a preferred bidder for the £4.2bn super-sewer project in London. Texas Water Development Board (TWDB) in the US is scheduled to hold a meeting to consider approval of funding worth $3.9bn from the State Water Implementation Fund for Texas (SWIFT) while the board has approved a $440m loan to Tarrant Regional Water District for the $2.3bn Integrated Pipeline Project. The Lee Tunnel will connect with the Thames Tideway Tunnel. Photo: courtesy of Thames Tideway Tunnel Ltd.
View of Monteria from the Sinu river. Photo: courtesy of Carlos Crismatt Mouthon - Gobernación de Córdoba / Wikipedia. IBM's World Community Grid used for simulations conducted under Computing For Clean Water project. Photo: courtesy of IBM. UK based water utility Thames Water has selected Bazalgette Tunnel as a preferred bidder for delivering the £4.2bn super-sewer project in London. Bazalgette Tunnel is a newly developed entity formed by a group of investors including Allianz Capital Partners, Amber Infrastructure Group, Dalmore Capital and DIF. The consortium is expected to own, finance and deliver the project following formal designation and licensing by UK water industry’s economic regulator Ofwat. Operating as the infrastructure provider for the project, Bazalgette Tunnel will be responsible for managing the construction contractors for the project. The tunnel has been planned to be 7.2m wide, 25km long and is expected to have a depth of up to 65m below the Thames River. Texas Water Development Board (TWDB) in the US has approved a $440m loan with low interests to Tarrant Regional Water District for the $2.3bn Integrated Pipeline Project. The project, which is being developed in co-ordination with Dallas Water Utilities (DWU), has received the financial assistance from the State Water Implementation Fund for Texas (SWIFT). Once operational, the pipeline project will deliver a surplus of 350 million gallons of water per day to TWDB and DWU. Texas Water Development Board (TWDB) in the US is scheduled to hold a meeting to consider approval of funding worth $3.9bn from the State Water Implementation Fund for Texas (SWIFT). TWDB will be reviewing 21 applications and will consider approving approximately $1bn in projects for the first year. The remaining funds will be allocated over the next decade. 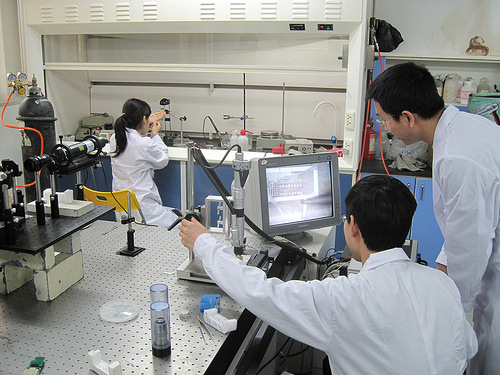 A team of international researchers led by scientist from Tsinghua University in China have used a virtual supercomputer, developed by IBM, to conduct simulations for using nanotechnology in clean water production. Published in the journal Nature Nanotechnology, the process involves use of carbon nanotubes under specific conditions to enable efficient water filtering at reduced expenses and environmental impact. IBM’s World Community Grid was used by the researchers led by the Center for Nano and Micro Mechanics at the university to conduct computational simulation study for the process. Water service provider Dwr Cymru Welsh Water has initiated a programme to install pressure relief valves (PRV) in surge vessels across South and Mid Wales in the UK. Designed by Quantum Engineering Developments (QED), the PRVs enable in-service inspections without causing any disruption to the system. 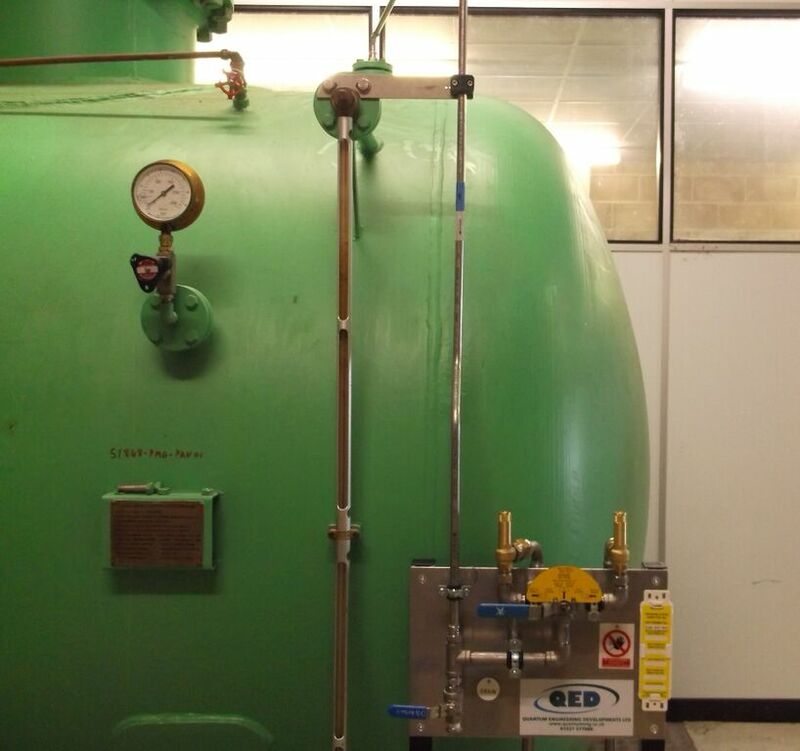 The technology has been helping the water firm to manage its surge vessels in a better way since over 50% of the company’s vessels in South Wales have been fitted with QED’s Duplex PRVs. US based General Electric has launched a mobile water service centre at Edmonton in Alberta, Canada which can deliver prompt treatment services at reduced costs to customers. Claimed to be the first of its kind in the Canadian province, the water trailer will be able to serve the western parts of the country and northern parts of the US. Spanning across 15,000ft2 area, the centre will deliver immediate water solution to local firms and communities for their planned maintenance, emergency or disaster recovery needs. France based Veolia has won a renewal of contract worth €226m for managing water services in Montería, Colombia. Under the renewed terms, the French utility will serve the city through its local subsidiary Proactiva Aguas de Monteria for a further ten years, starting from 2019. Veolia is expected to develop a wastewater treatment plant to cover the needs of 100,000 residents in the city which is home to 540,000 people in total. The firm will also be responsible for extending Montería’s wastewater network in order to connect 100% of the population within two years. 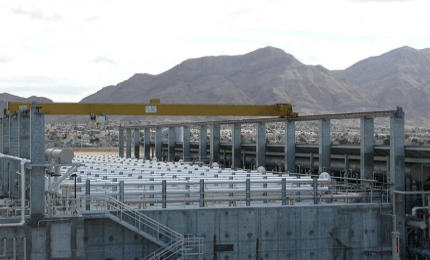 US based General Electric has installed its LEAPmbr membrane bioreactor (MBR) technology to upgrade a wastewater treatment facility in the city of North Las Vegas, US. Post modifications, the plant will be capable of treating municipal wastewater for more than 300,000 residents. It has been equipped to process nearly 25 million gallons of wastewater every day. Earlier, North Las Vegas had to depend on Las Vegas city for wastewater treatment services. "The retrofit will give us a 29% energy reduction on membrane aeration and will save more than $100,000 per year in energy and maintenance costs." In 2012, the city developed the facility featuring GE ZeeWeed membranes and MBR technology. GE’s LEAPmbr technology was deployed at the plant later on, to raise its treatment capacity. US based healthcare firm Sanofi has signed an agreement with French utility Suez Environnement to optimise water and waste management of its manufacturing sites in France and abroad. The agreement entitles Suez to develop customised solutions for Sanofi for three years, and with an option for renewal. The French firm will be responsible for improving the energy efficiency of the Sanofi facilities, by optimising the operation of water and waste treatment systems. A trial court in San Francisco, US has given out tentative rulings under which Metropolitan Water District (MWD) in southern California has been asked to pay $188.3m along with interest to San Diego County Water Authority as compensation for illegal rates it charged from 2011-2014. San Francisco Superior Court judge Curtis EA Karnow said: "San Diego has proven by a preponderance of the evidence that it was in fact damaged by paying conveyance rates that were higher than Met could have set pursuant to applicable law and regulation." The court rejected all of MWD’s defences to the Water Authority’s legal challenges.